As a landlord, you are responsible for a variety of tasks. You know that you must keep profits optimized and meet the financial challenges associated with your rental property. One of the main ones is raising rent prices. Learn some simple strategies that will show you how to raise rent without losing your tenants and stirring up an angry mob. Raising the rent is never easy; however, despite the relationships that you may have developed with your tenants – it is a necessary element to the business model that governs your rental property. The human element often makes it difficult to indulge in the actions that are necessary for your business. Each year, inflation reduces the overall value of your rent monies. Expenses continue to rise. You pay more for taxes. Insurance rates go up. Maintenance is required. Repairs become necessary as time progresses. It is imperative that you earn the absolute most that you can in order to ensure that you get the best possible overall returns on your investment. If you are reading this, it is quite likely that the rent that you currently charge is far below the standard market level. This is a common situation that occurs when landlords fail to raise the rent each year. When you get to the point where you try to catch up to the market, you end up increasing it so much that it negatively impacts the budgets of your tenants and they end up leaving. Instead of putting yourself in this position, increase the rent annually by up to 4%. You may even elect to put this in your rental contract so that your tenants expect the rent to be raised. You should do this every single year. This way, you never fall behind the market and are still able to profit from your business. If you make an effort to develop warm relationships with the tenants that you have, it will automatically provide a significant boost to your retention rate. When rent has to be raised, your tenants will come to understand that it is a necessary component of your business and ensuring that they have safe, welcoming areas to live. Your rental business is not just about the money. It is about people, too! Tenants like to be heard and appreciate having a “say”. To you, the property is a business. To them, the property is their home. Do polls about their concerns, emails that allow them to make suggestions, and take an interest in that which they seek. Then, take measures to make certain that you follow through on suggestions and make improvements. If you do this, when it comes time to increase the rent, your tenants will be happy to oblige and will understand that it is necessary. Tired of the hassles? Overwhelmed with issues such as maintenance, repairs, and raising rent? 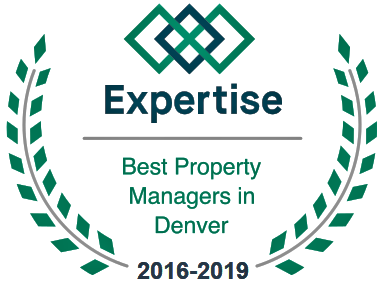 Get your own property manager today!